Drawings take place on Thursdays at 7 PM. 1736 South Michigan Avenue during regular business hours. The pot is currently $31,000. There is plenty of time to get your tickets and make it grow. The pot rolls over each week until the Queen is drawn. The pot is a 50/50 split – half goes to the winner and the other half benefits Old St. Mary’s School. There is no limit on the number of tickets that can be purchased. You need to be age 18 or older to play. Tickets may only be purchased with cash. Sales will conclude at 6:30 PM on draw night. 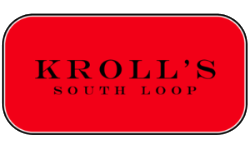 This fun an exciting progressive raffle is being hosted by our friends at Kroll’s South Loop. Copyright © 2017 OSM School, All rights reserved.